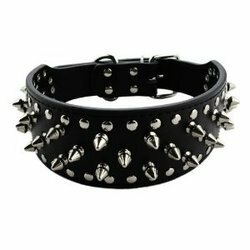 Providing you the best range of leather dog collars, handmade leather dogs collars, leather dog collar, leather dog collar with spike and spiked leather dog collar with effective & timely delivery. 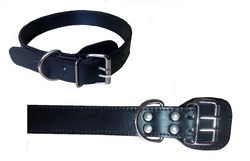 Description: It is made by Leather. 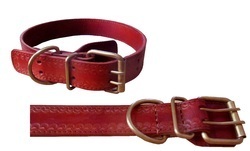 We stitched two layer of leather to have good feeling for dogs. 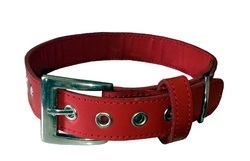 It is 100% Hand made Leather. It is available in color and size also. It is a Hand made Leather. It is available in color and size also. Small(Asian size) size for 2*20"(5*51CM) Neck 15-18"
Medium(Asian size) size for 2*22"(5*56CM) Neck 17-20"
Large (Asian size)size for 2*24"(5*61CM) Neck 19-22"
Looking for Leather Dog Collar ?